Hi guys! Happy Tuesday! I am back with yet another Lush review! What can I say? I went a little overboard. ;) While in Lush, I picked up my second Lush conditioner, Veganese. If you've read my Project Lucius Malfoy post, you'll know that I have been on a continuing quest for longer and healthier hair, and I bought this in the hopes of adding more health into my growing hair. 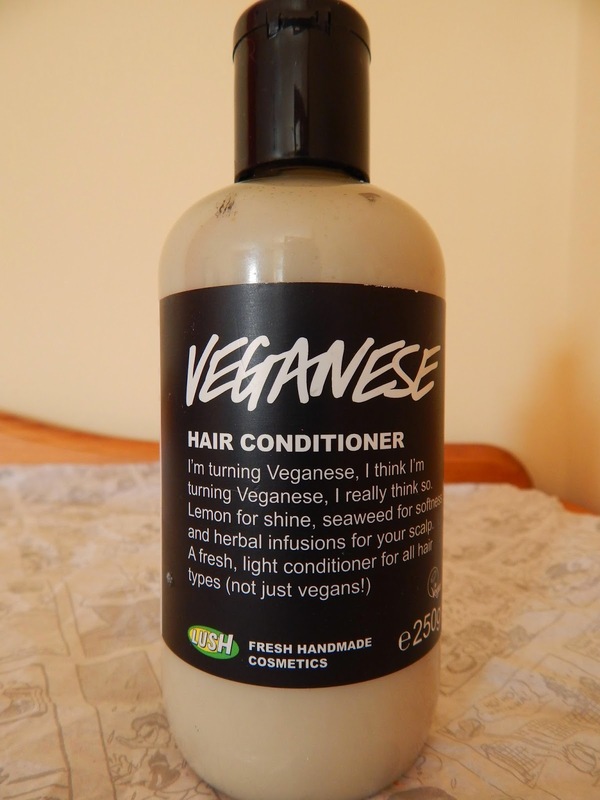 Veganese claims that it will make hair more manageable, without weighing the hair down, that it will leave hair feeling softer, silkier, shinier, and help soothe the scalp. 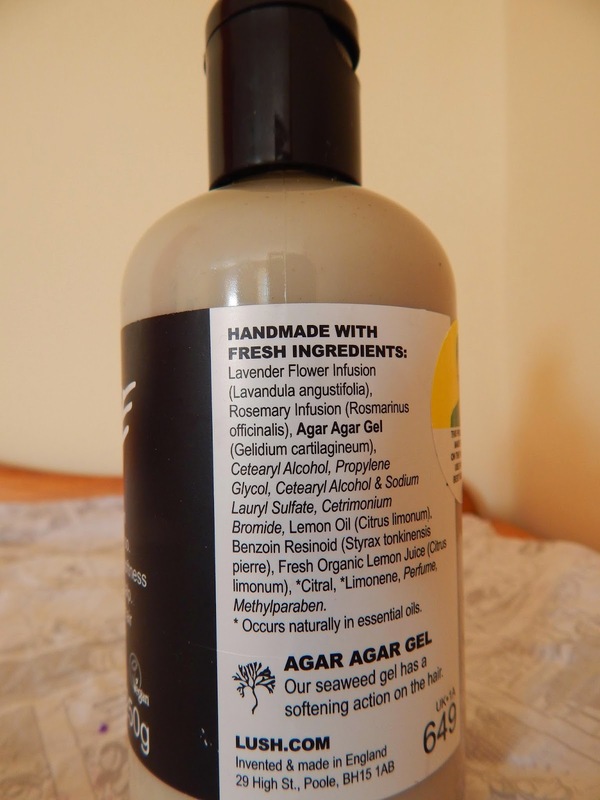 The starring ingredients in Veganese are; lavender flower infusion for balancing and calming the scalp, lemon juice is added to refresh and rejuvenate and agar agar gel to soften and moisturise, agar agar gel is used in place of lanolin. Veganese is chemical free and 100% vegan as the name suggests, which is always a huge plus for me! Veganese has left my hair feeling lighter, softer, alot fresher than when I use an ordinary Joe conditioner. My hair has been shinier and has done a great job at calming down and soothing my scalp. Since using Veganese, it has looked and felt alot more moisturised and has an added boost of life in it, which feels fantastic! Also, it has become so much less dull. I really recommend this conditioner if you have dull, limp or lifeless hair. It's also fantastic for greasy hair. The one thing I will say about Veganese is that the texture feels so runny and lightweight, which is a great thing, but it also doesn't feel like you're applying enough conditioner to your hair, so you may tend to use more than you actually need, and it can lead for unnecessary waste, so you might not get alot of stretch out of Veganese if you use it all the time. I love the smell of Veganese, it smells quite lemony and refreshing. I adore the packaging of this conditioner so much! I was sold at ''I'm turning Veganese. I think I'm turning Veganese. I really think so''! Ah, it's the simple things. 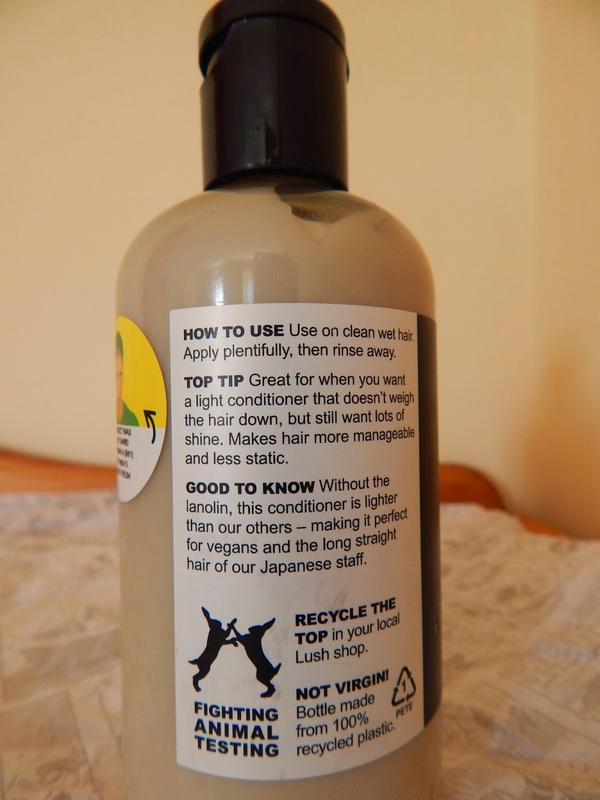 ;) Overall, I am delighted with this conditioner and I will definitely repurchase Veganese! Considering the tendency for waste, I give Veganese a well deserved 9/10! A 250ml bottle (medium sized) of Veganese costs €10.95. Have you tried any of the Lush conditioners? What did you think of them? I have never tried a shampoo or conditioner from Lush but I think you've sold me on this! Great blog! 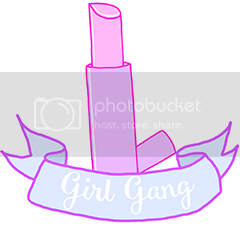 I would love to see you on my blog!